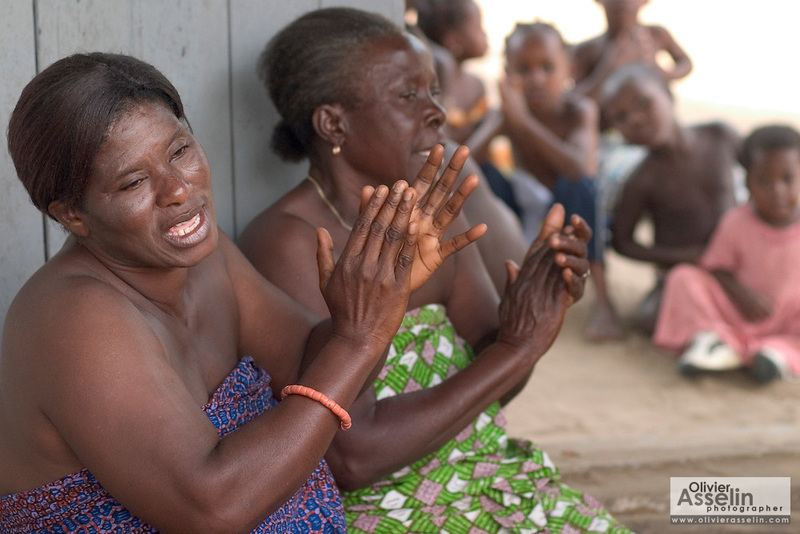 Women chanting during a "coming out" ceremony at a fetish shrine in Aflao, Volta Region, Eastern Ghana. A woman was released after spending three months in a small, dark room, hoping that she'd then be able to find a husband. Despite most Ghanaians being adamant followers of christianism or islam, many of them still maintain traditional beliefs. When facing a problem of any nature, some people will visit a local fetish shrine, looking for help. The main priest will consult the oracles and tell the person in need what has to be done for the problem to go away. People will typically be asked to "serve" the shrine for weeks, sometimes months, as their families pay the priest for their upkeep.